I want to think about the reality of stock market, is stock market really the best place for investment? Is stock market predictable? In my experience, stock market cannot be predicted, but you can use data and probabilities as basis whether to invest in a stock or not. Stock market is unpredictable in same sense that some news and events cannot be predicted. Is stock market the safest investment? I could tell you that you could lose half of your money in stock market and wait decades (in some cases) before you can recover it. So yes, stock market is not the safest investment on earth. Even the legend investor, Warren Buffett has a story of lost. In June 2018, Buffett’s holding company, Berkshire Hathaway, acquired 250 million shares of stock of Apple; by November 2, 2018, Buffett lost more than $3.5 billion of its value (source: Warren Buffett loses nearly $4 billion in single day on his Apple stake). One might think that I’m being too pessimist (negative), but that is not true, there are tales of triumph and gains only if you invest carefully. Take the case of banking industry in the Philippines. In January 11, 2019, news about Hanjin Philippines bankruptcy spread in the internet like a virus causing a downward shift in the stock price of banks with loan exposure to the said company. Metrobank (MBT) for example plunge from P82+ level to P76+ level after the news-scare, now as of this writing MBT is back to 82+ level (note: this is not a stock recommendation). If you examine the scenario, one might think that this is not good time to buy stocks since price might go down further, but if you examine the history, Philippine Banks have been in worse situation than this (Asian Financial Crisis is more worse) and yet they survive; thus in this case, a bankruptcy of one corporate institution will not result to bankruptcy of whole banking system of the Philippines. With that in mind, an intelligent investor has already gauge that declining stock price of banks is temporary and an opportunity to buy more stocks. 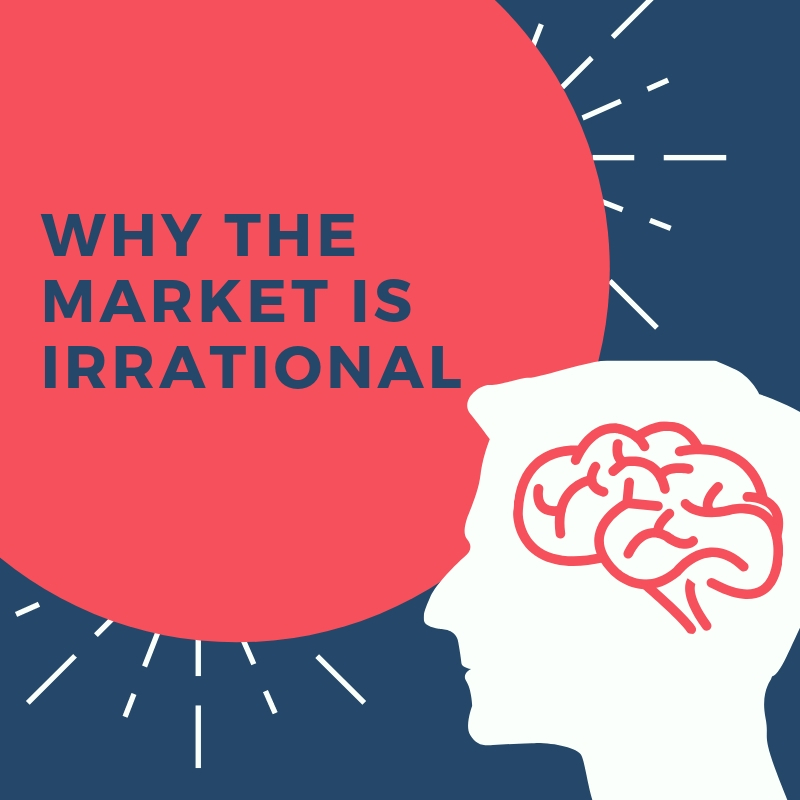 The key here is that investors and traders should always recognize that investing in stock market has risk and that stock market is not a fairytale of gains and always gains. Google Station which offers free high quality Wi-Fi connection, will open 50 locations in the Philippines. In an article written in Inquirer, Mahesh Bhalerao, Global Director of Google’s Next Billion User Partnership said “Google Stations allows Filipinos from Luzon, Visayas, and Mindanao to connect with high quality internet. Google Stations will be developed in more than fifty locations by the end of this month.” Google Station is partnering with Smart to setup Wi-Fi hotspots in public areas such as airports, markets, malls, and bus stations. Google Station is already established in India, Mexico, Thailand, and Nigeria. 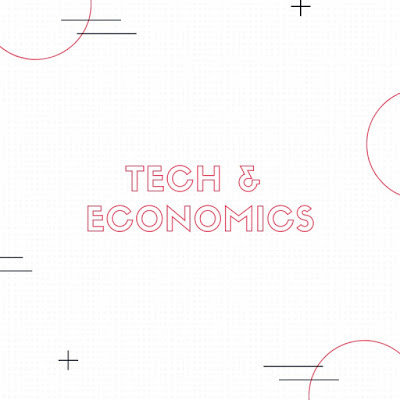 In an article published in Harvard Business Review (HBR) dated February 12, 2019, titled "Why Tech Companies Hire So Many Economists", Susan Athley and Michael Luca pointed out the importance of economics and the role of economist in tech business. In the article, they highlighted that large US tech companies like Amazon, Google, Facebook, and Microsoft have large team of PHD economists. So why are economists so valuable in these tech organizations? 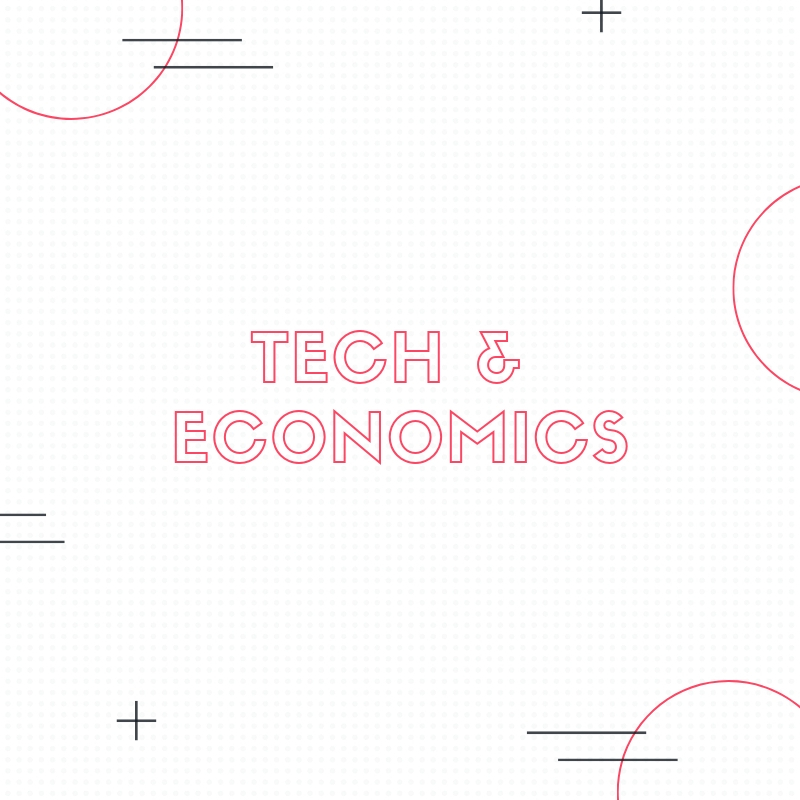 The growth of tech economists in the past years has help tech industry answer some of the most important issues in the market. Questions related to pricing, like, how will the market respond if we make the app free or what if we charge a little amount will they still download the app? Or what market should we focus, will tech products sell on this market or that market? With the data of tech companies and the toolkits of economists, questions like these would be readily answered. If you are an economics students, you would probably remember the times when you took your thesis and running series of statistical test to test relationships of variables. This experience on testing and studying relationships (accepting or rejecting the hypothesis whether there is significant relationship or not) is a valuable expertise in tech sector. When an economist is asked about a problem, he does not jump into conclusion and giving answers without basis, instead he uses data and economics statistical test to figure out possible answers to the problem. In simple words, economists know how to use numbers in answering complex real world problem. Laguna Lake Highway in Taguig City. DPWH File Photo. Department of Public Works and Highways (DPWH) has opened a separate 5.58km bicycle lane facility along the stretch of Laguna Lake Highway in Taguig City (source: dpwh.gov.ph). This is the first national highway bike lane in the Philippines which has been in the dreams of most cyclists in this country. This type of development will provide access to safe mobility for the masses who are using bicycle as mode of transportation. Hopefully more of this will be built in the roads and highways of the Philippines. This will allow people to be more mobile which can enhance their well being and can contribute to the economic growth of the country. Last year was full of economic challenge for our country. Inflation was in all time high and Central Bank (Banko Sentral ng Pilipinas [BSP]) flexing its muscle by raising the interest rate. The trade war between China and U.S. and economic uncertainties in the Middle East contributed to lowered strength of Philippine currency. Stock market saw and felt the economic challenges of the country, last year was a market bear for Philippines stocks. Although 2018 was full of economic difficulties, to the point that World Bank is warning that the country is overheating, there is still light at the back of the story. Quarterly growth remain strong at 6% plus level, a sign that the economy is still performing well. While inflation is on upward trend, it turns to slow down as the year ends, signaling that efforts to curb inflation are working. End of the year holidays also saw remittance coming, leading to strengthening of Peso against Dollar from PHP55 to PHP52 level. 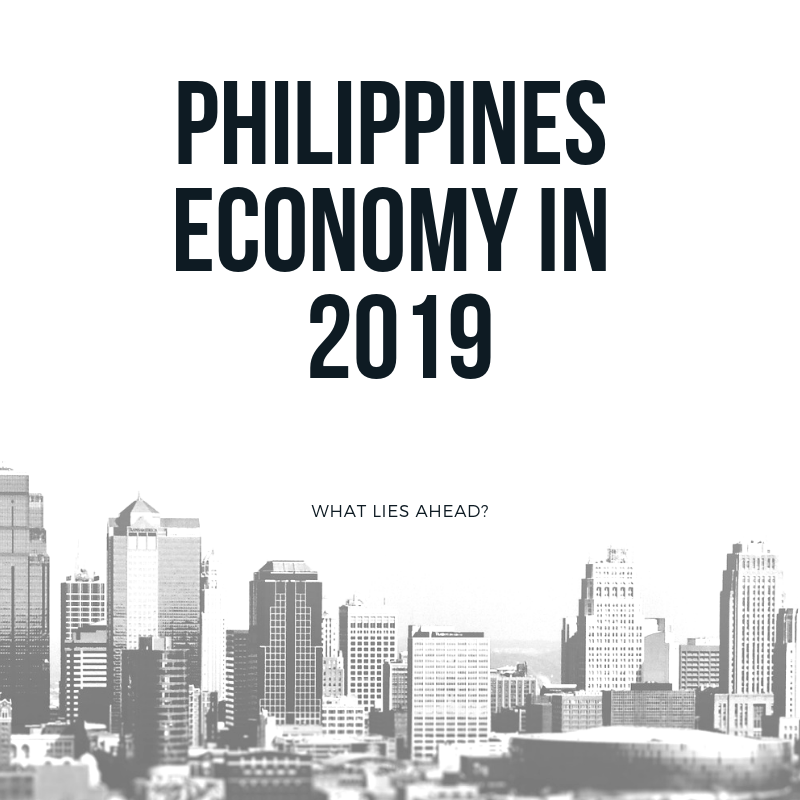 With all the latter being said, we have an idea that 2019 has a good start for the economy; but, what will 2019 bring to the country and what lies ahead? Inflation topic is up again in 2019 as TRAIN 2 is already in effect resulting for some to conclude that the implementation will result to upward spiraling of the overall price of goods. Yet, experts are arguing that additional tax on oil will have little effect on the overall price, since oil price in the world market has started to go down. Thus, the additional tax on oil will be compensated by declining oil price in the world market. Furthermore, price of oil domestically should start to see some down trend since Peso (PHP) currency has already gained strength in the past few days which would result to lower import cost compared last year. Retail and construction supplies is seeing boom this year as government pushes more Build. Build. Build projects out of the pipeline. Last year, government building projects paid construction salary of about P17 Billion from January to July 2018 and spent P281 Billion on infrastructure projects from January to May 2018 (according to Sec. Dominguez III). It is expected that more construction jobs will be in demand this year as more projects progress from conceptualization to building stage. E-commerce is also gaining ground in the country as cheap items from China flood the Philippines online stores. The low cost of selling goods in the internet is creating income nationwide, and this is a good sign that internet economy has a good future in the Philippines. 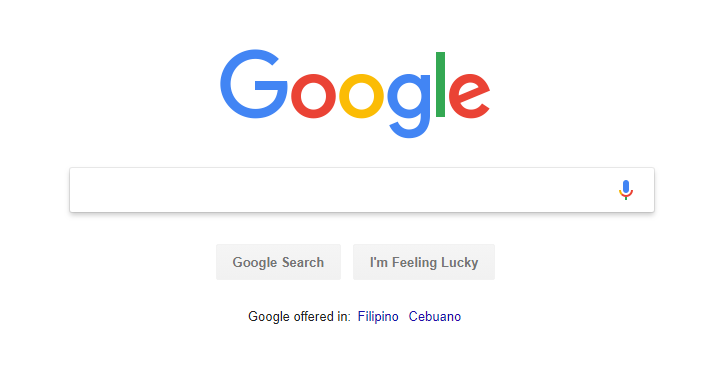 According to Google, Philippines internet economy will grow from 5 Billion Dollars in 2018 to 21 Billion Dollars in 2025. The growth in e-commerce is also seen to contribute growth in logistics business. Tourism industry should take a further leap this year as Boracay recently opens after being closed for rehabilitation. Since 2011, tourism income share on economy has significantly increased from 5.9% to 12.2% in 2017 (source: PSA). construction road works connecting urban areas to rural areas would further strengthen the growth of tourism in the country, last year from January to October 2018, 5.9 million international tourist arrival were recorded by Department of Tourism, 7.4% higher compare same period in 2017; with majority of the visitors coming from Korea, China, USA, and Japan. 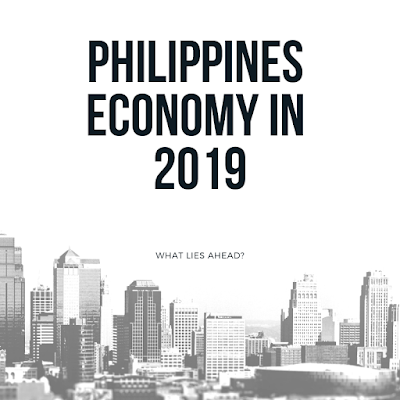 Philippines stocks showed signs of recovery, even though the Hanjin Bankruptcy temporarily halted the upward momentum of Philippine Stock Exchange Index (PSEi), the trend is still very clear that the country’s stocks are on the rise. Central Bank also hinted that it will no longer increase interest rate in the next few months, which is a sign that the mother of all banks is seeing that inflation is already stabilizing. While it is good to be optimistic, it is still important to identify the problems and trends that might cause economic growth to reverse. There is a hot debate about the effect of Federalism in the overall economy. Whether the shift in this particular type of government will bring prosperity or it will cause political chaos. Yet, in this early stage of development of Federal System, the public will still not be able to gauge the real effect of the proposed change. The Federal Constitution draft is not yet available for public scrutiny, and if available, only lawyers and experts will understand the writings. So it is very important that the changes in the constitution be explained in the public in layman's term. On the other side, the war on drug is for sure to continue this year and it looks like that the fight will not end so soon. This might imply that there might be other reason why people are seeking illegal drugs, it might be more than addiction. The reason might be psychological or economical, it might be rooted to family problem or financial problem. Whatever the reason, the root cause must be addressed through implementation of right government policies and projects from the government, non-government, and private organizations. Even though Libya has resumed its oil production last year, which pushed the oil supply up and caused some downward shift in the price, oil supply is still seen as volatile. Economic uncertainties in the Middle East triggered by war and violence could negatively affect the supply of oil, and thus, might push the price upward. While the shift in renewable energy and the promotion of electric vehicle might put some pressure on oil as consumers shift their demand from oil to electric energy which will result for oil price to go down. Oil is vital part of all economic activity, a major increase in the price of oil might result to increased in transportation cost and could affect the price of basic goods. Hopefully, government policies and projects will further strengthen the economic development of the nation; with further hope that inclusive growth will always be at the center of decision making of the leaders of this country. Christmas is coming and most of us are excited to buy gifts for our love ones. As early as now, many people are looking to receive their bonuses, some are already packing their gifts while other are on the hunt for unique gifts for their love ones. 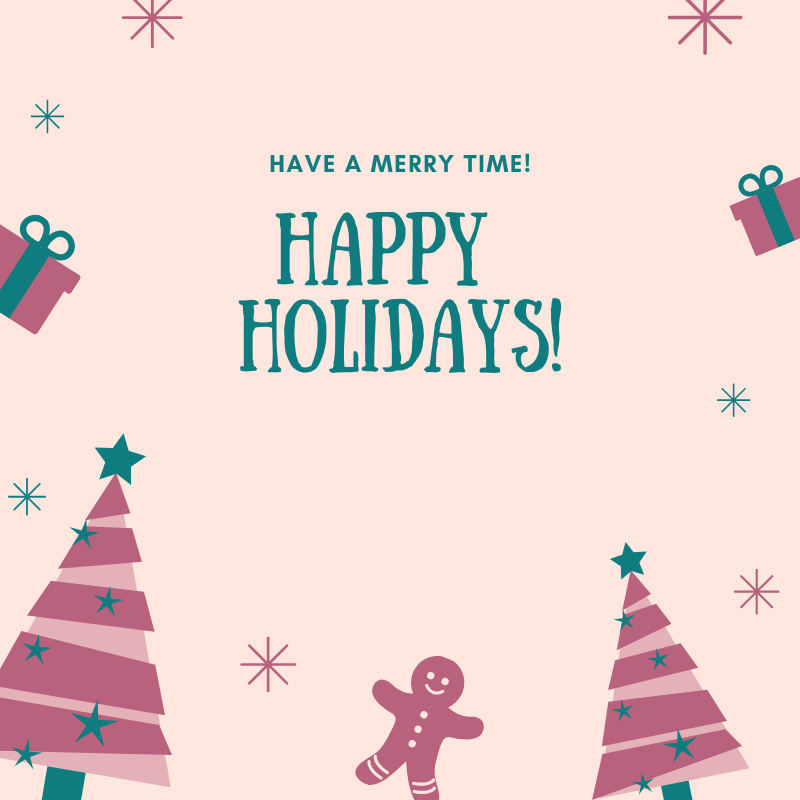 Truly, there is nothing compared on how Filipinos celebrate Christmas, we look forward to this day because we know that this will bring happiness to each and everyone; we associate this season to peace and sharing. Yet, despite the happiness Christmas brings, we must be rational (intelligent) enough when it comes to spending. Admit it or not, spending is one of the activities that makes Christmas fun, it is the feeling of abundance, the feeling that you can buy almost everything with your bonuses (13th month and/or 14th month pay) that gives the spender the feeling of freedom. However, despite the feeling of freedom we get from extra cash, it is still important to be cautious on what to buy. 1. What is the materials of the item? Is it high quality? What is the feedback/comment of other people who bough the same item? 3. How unique is the gift? Is the gift something new? A product of innovation? 4. Will the gift help the person you are giving? Is it useful? 5. Will the gift last forever? Is the gift treasure-able? Buying things means showing our support for the item, thus, we must choose to support goods and services that brings real value to people rather than things that are easily broken and most of the time turns into trash. With the technology in our hands, we can now do research on things we buy; all of us can now be an intelligent consumers. 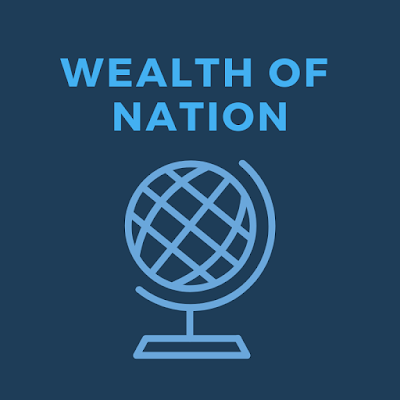 I want to talk about the wealth of nation (yaman ng bansa), to begin with a question: who owns the wealth of nation? Few people know that the wealth of nation is owned by the people of the nation. In the case of the Philippines, we Filipinos owned the wealth of the Philippines. But in reality, few only benefit from wealth generated by the natural resources of the country, if the government of the past has distributed the wealth carefully, Philippines might have the mega infrastructures of the developed countries, low cost of energy, state of the art public transportation; Philippines might have the free heath care system and pensions of the wealthy countries. The challenge of today is for us Filipinos to realize that our country is full of resources and each of us has the right for the wealth of our country. Whatever your status in life - poor, middle class, upper class, the wealth of nation should be for the benefit of all and not of the few. Some people are still blinded by the belief that if they amass all the wealth, if they keep it to themselves, then they will be happy, but I will argue that it will be temporary, as Adam Smith said, no society will be truly happy with a portion of the society down to poverty. At some point, the people down the poverty, who did not benefit from the wealth will negatively affect the society. 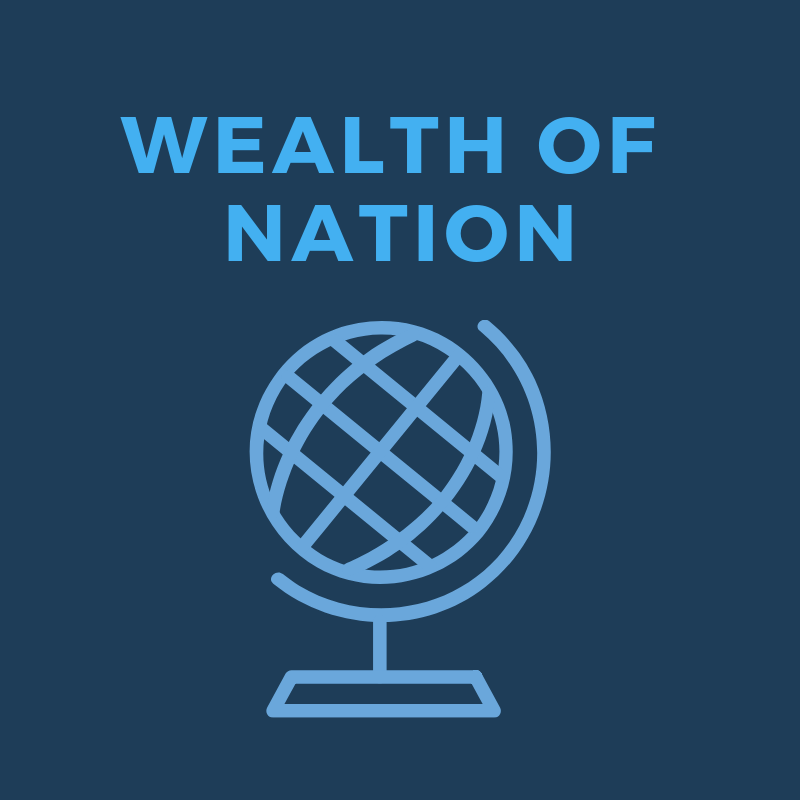 We have to rethink of how to use the national wealth for the benefit of the citizens, if we could do this, we will be able to create an abundant nation where each and every citizen has equal opportunity to live a decent life. The past has failed to distribute the wealth to each and every individual of this country, but we can’t blame the past, today is the day to begin, put self interest behind, and together let us build a country where everyone is wealthy. 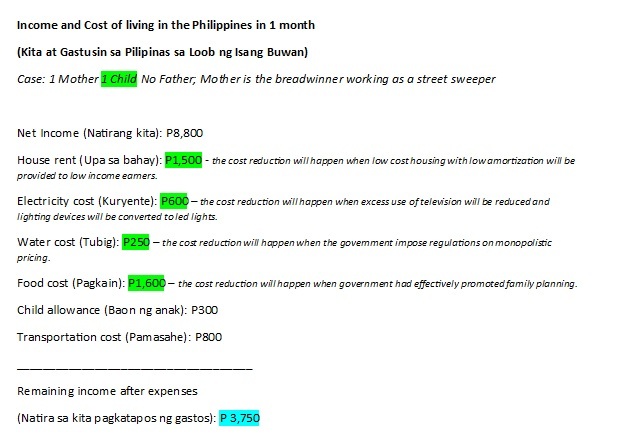 What is the Cost of Living in PH? This case shows the income of one mother and her expenses in one month who is living in Metro Manila, Philippines (applicable in year 2018). We can observe that bulk of the expenses goes to food followed by house rent. This case is not isolated, since many low-income earners in the Philippines houses 4 or more children. What happened here is that, in the past years the father was contributing to the family income, after things go wrong in the relationship the father left and the responsibility of taking care of the 4 children was shouldered by the mother (the other scenario is that the father died, then the mother shouldered the family responsibilities). My goal here is to analyze this case and to figure out how we can help these people. We can’t blame the mother since the problem is already there, but if the mother had anticipated the problem, she might as well result to family planning (the mother might have chosen to bear only one child). 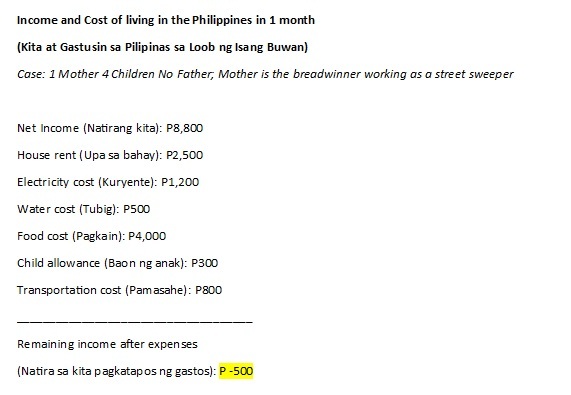 If she chose to have only one child, the effect on the food cost might have been lowered by 3/5 or 60% equivalent to P2,400 which will reduce the food cost to P1,600 (computation: P4,000 – P2,400 = P1,600). Another thing to look at where we can reduce the cost is the housing rent. The government should provide housing facility to low income earners, by this, housing expense could be reduced by half. Developing low cost decent housing facility which can be amortize at P1,500 (or lower) will be lowered compared to prevailing P2,500 monthly rent in substandard home facilities in the metro. Electricity bill in this case is high, my assumption is that high electricity bill was due to lighting and use of television. The electricity in this case could be reduced by 50% to P600 if the house use led lights (3watts) and that watching television would not be done whole day. In this case when children are not watching television, they should be engaged in activities that enhances well-being like playing sports, participating in barangay and school activities, and studying. The price of water is high as well, in the province you can use water regularly every month and have a bill ranging from P150 to P250. The government should review the pricing scheme of monopoly water companies in the metro, and decide whether there is a need for regulation. Look at the big difference in savings from previous P-500 to P3,750, this change is feasible if and only if government will provide the right policies and people cooperate in the changes to be made. The P3,750 savings can be used as a security which can be deposited in the bank - which can be invested, or the family can use the money to improve the quality of their food for better nutrition, or they can use it to improve the education and learning of their child; to simplify, increasing savings will open doors to many improvements. 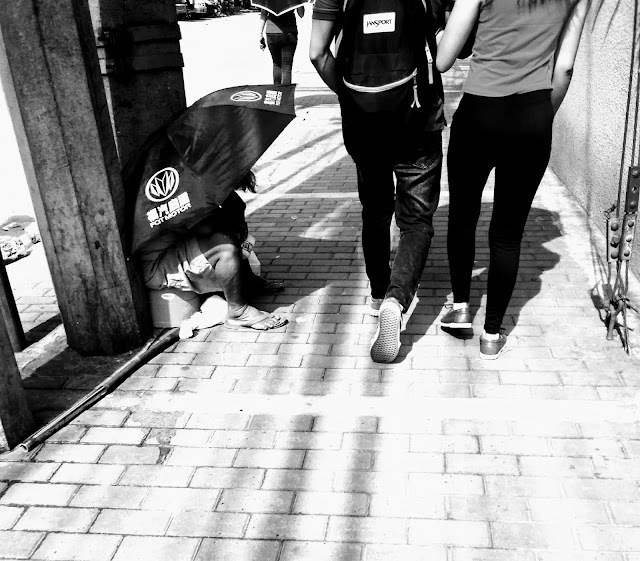 Recently I was walking in the streets of Makati and saw some beggars (along Makati Medical, Dela Rosa St.). The beggars look like they came from the province; my suspicion is that they were natives. I saw in their paper cups (were the passerby put coins) that their earnings were not so decent. I asked myself if this begging phenomenon is due to laziness or is it something that needs government intervention. There is a theory that I associate with begging, that is, lack of nutrition and education could result to begging phenomenon. Even though if the person is at age to work and has the physical capability, if his brain does not function well due to lack of nutrition or food, the person will have difficulty of finding solution to his or her problem, which in this case finding a job. Also, hot temperature in the Philippines which drains the energy of the beggars in the side-walk adds to the problem. Begging results to poverty cycle; even though the beggar earns by begging money, it doesn’t uplift the standard of living of the person. The beggar earns some amount of money to buy small amount of food and the next day he is in the street to ask for alms again, the cycle continues and it never ends. There is only one solution I see, and that is for government to intervene by feeding and providing livelihood education to these people. The begging phenomenon is not only present in the streets; it is also present in the neighborhoods and slums. This should be addressed strategically, since this has been a problem of the country in the past decades. If poor people have poor nutrition, how could you expect them to think of right solution, if the normal homes in the subdivisions feel the heat of the sun, how much more are the homes of those in the slums? The climate and lack of nutrition in poor families results to inescapable poverty – because food and shelter is two of the most important basic needs for development.